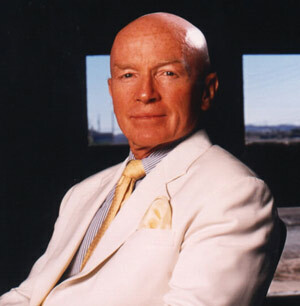 Mark Mobius, executive chairman of Templeton Emerging Markets Group, launched the first Templeton Emerging Markets Fund 25 years ago. In May, Templeton Emerging Markets Group launched its latest emerging markets fund, the Templeton Africa Fund . Global Finance: Emerging markets have come a long way. How different do things look today? Mark Mobius: It's really been quite a ride. We started our [first EM] fund with $100 million, investing in just five countries. Today we have $50 billion invested in 50 countries. Our growth has been matched by that of emerging markets. In the late 1980s and early 1990s, the developing world was largely government-driven. Then the IMF and World Bank realized—alongside many others—that the market-economy model was a way forward, that you needed the market to allocate resources. GF: How has the way you pick successful EM companies evolved? Mobius: Country selection is always important, but it must be done in the context of the companies you are looking at: You can't just choose countries (on their own merits), because the data is too late. You must then consider all the factors that impact on the company (for example, regulations, currency, etc). In the past we focused more on earnings. Now our model is a lot more complex, and we look beyond this. Corporate governance is a key issue, and we pay a lot of attention to the backgrounds of the people running the company; we look at how minority shareholders are treated, we look at a lot of things. Also, we've been through three big crises (the Asian debt crisis, the dot-com boom-and-bust and subprime) and volatility has increased. This has impacted on emerging markets in a big way: In 2009, values crashed 40% before there was a huge recovery and a plethora of IPOs. Now despite the higher valuations a lot more money is going into emerging markets—the debt-to-GDP ratios in many cases are lower than in developed markets—but there is also a lot more differentiation taking place among investors. GF: Do you agree with Jim O'Neill at Goldman Sachs' delineation of the N11 frontier growth markets? Mobius: No, not all of them: I don't think they will all emerge as the next BRICs. Frontier markets are smaller, less noticed and researched markets in the primary stage of capital market development. We have $1.4 billion in frontier funds—in countries like Nigeria, Kazakhstan, Vietnam and Ukraine. But the portfolio is very different, really an opportunity to diversify away from the regular emerging markets. Banks in Nigeria right now are interesting—they are going through a seismic change. So too is the consumer sector, which in regular emerging markets are fully covered by the likes of Unilever and P&G. GF: What do you think the future holds for emerging markets? Mobius: Pension funds and institutional investors are now going in big, so I think we are going to see many more investors in our funds. But changing attitudes and communication mean information travels more quickly, so one needs to be more accurate in understanding what lies ahead.